Installing a gas fireplace is a great way to make your living room or bedroom comfortable, cozy, and warm. 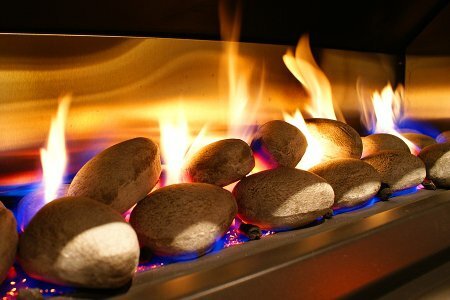 If you are considering a gas fireplace in Chantilly , Home Living Fireplaces has what you need. 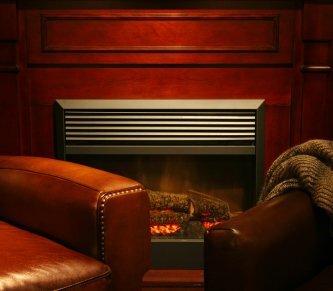 We have serviced and installed fireplaces throughout the DC Metro area for more than 45 years. To learn more about the steps of ventless gas fireplace installation, watch this video clip. The first step is to choose the material of the fireplace surround, doors, and shelf. Once the fireplace itself is installed, the surround, doors, and shelf are added. The great thing about a ventless gas fireplace is that it doesn’t require a chimney or outside ventilation source. This makes installation easy and ensures that the room is heated more effectively than it would be with a wood-burning fireplace. 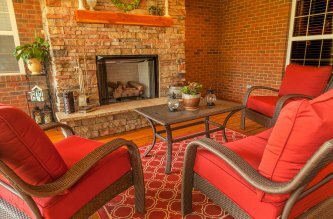 Sitting by your fireplace in Chantilly can be a great way to relax during the colder months of the year. When you sit around the hearth of a natural gas fireplace , you also get to enjoy a range of additional benefits. Read on for a closer look at the benefits of a natural gas fireplace. A few different factors come together to make your natural gas fireplace quite a bit safer than their wood-burning counterparts . Unlike a wood-burning fireplace, a natural gas fireplace does not require a chimney. Chimneys tend to harbor creosote, which is a flammable material that presents a danger to your home. A natural gas fireplace does not have a chimney, thus protecting your home and family from this danger. Another safety feature that the natural gas fireplace presents is the ability to control the fire. 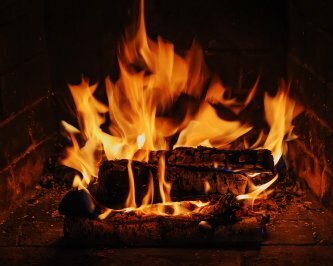 You will never have to worry about embers or sparks being spit from your fireplace, which is important if you have pets or children in the home. Thanks to the fact that these fireplaces do not create toxic fumes, even the environment is protected when you choose natural gas. 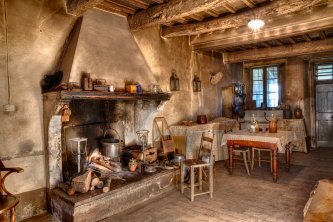 It is always nice to relax around a wood-burning hearth and stare at the mantel, but what if you have things to attend to and cannot be near the fire for a long enough time to stay warm? This is where a natural gas fireplace presents yet another advantage. Many of these models make use of preinstalled blowers that make sure the heat from the fire spreads through the entire house. In this case, you can stay warm and enjoy the heat of the fire without having to sit right next to it. A gas fireplace is among the most convenient heating instruments that you may come across. Models may be turned on and off, so you have full control over exactly when the fire starts and ends. Furthermore, models may even be operated via remote control, so you and your family members will not even need to get up off of the couch to get the fire started. A wood-burning fireplace is a wonderful focal point of your living room, but it’s not the most efficient want to heat your space. That’s because traditional wood-burning fireplaces lose a lot of heat and are very inefficient. The good news is that you can make your fireplace more efficient with a fireplace insert. A propane or gas fireplace insert can also be installed in your home even if you don’t have a wood-burning fireplace. Watch this video for more information on efficient fireplace options for your home. Visit a fireplace showroom in Chantilly to see examples of these and other fireplace options for your home. Consider custom trims and doors for your fireplace insert to give your new centerpiece a custom look and feel. 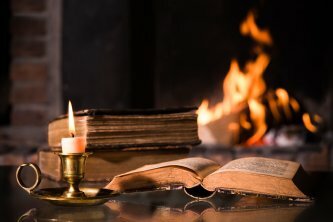 Just because you don’t have a chimney doesn’t mean you can’t enjoy the warmth, luxury, and comfort of an indoor fireplace. Gas fireplaces vary from a simple gas log set installed in an existing wood-burning fireplace to stand-alone gas fireplace inserts. The logs are molded from a casting of natural wood to provide realistic texture, depth, and dimension inside your gas fireplace. And thanks to direct-vent technology, your gas fireplace can vent through an outside wall and terminate horizontally or vertically. The other advantage of direct-vent technology is that it eliminates many draft issues and enhances efficiency and fireplace safety. Consult with your Chantilly fireplace expert to learn more about your options for adding a gas fireplace inside your home. 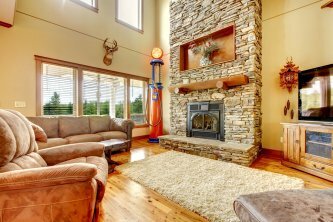 A gas fireplace can instantly enhance any room in your home. Visit a fireplace showroom to see working models and styles that will inspire your new fireplace design!